Look through our galleries of Chicago and suburban architectural images and compare them to what you are using now. 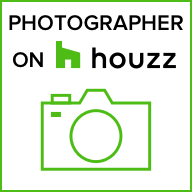 See the difference between a point and shoot camera and Larry Fields Photography professional architectural photography. We have created award winning architectural interior and exterior images in the Chicago, Illinois area for decades. Contact us now if you want to improve your architectural photography for increased sales and profit. Whether you need high quality still photography or HD video of your architectural project, real estate listing, executive portraits, Larry Fields Photography can do it. We can do awesome drone photography and up to 4K drone videos, too. We cover Chicago and suburbs, Northern Illinois, Eastern Iowa, Western Indiana and Michigan, and Southern Wisconsin. Larry Fields Photography is focused on keeping assignments stress free for our clients and will work with you to create images that portray your architecture in the best possible way. We will stunningly capture your Chicago or suburban property emphasizing it’s best features all with a minimum of effort on your part. Our rates are surprisingly affordable and our services are perfect for small to large customers who need professionally created images of homes, commercial buildings, interior design, B&B’s, restaurants, hotels and businesses. Larry Fields Photography constantly strives to remain at the cutting edge of current processes and we use many new techniques to produce our Chicago architectural photography. We strive to give our customers only the highest quality images. Many times, our images are a composite of several shots of the same angle. This requires a level of technical knowledge and expertise other photographers simply don’t possess. Whether an architectural photography project involves one shot or fifty shots Larry Fields Photography provides high quality images and service every time. Our unwavering commitment to quality has never changed. Shots are prepared to show the best possible image quality and posted here on our website for our customers to download at their convenience.